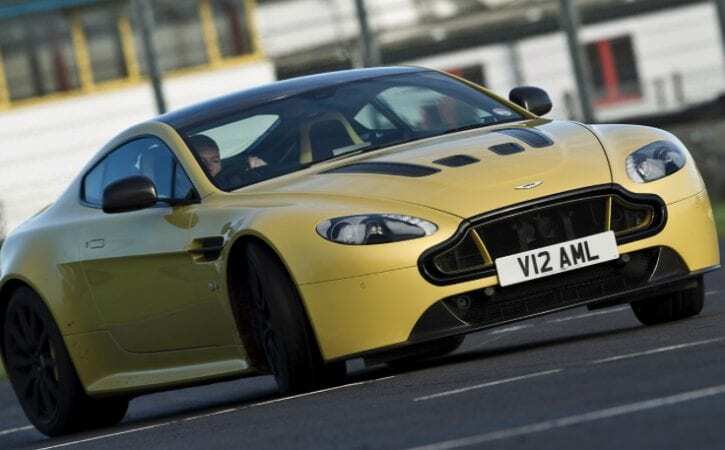 The Aston Martin V12 Vantage S is the fastest regular production model to ever leave the company’s factory. Here are the headlines: a 205mph top speed, and a 0-62mph time of just 3.9sec. These are only topped by the £1.2million Aston Martin One-77, which was only ever produced in a limited 77-model production run. Like the V12 Vantage before it, the new S is the most raw and visceral model in the Aston Martin range, but with a boost in power and some serious updates it promises even more performance. Replacing the 510bhp 5.9-litre V12 engine from the DBS is the revised AM28-spec 5.9 V12 that makes a staggering 565bhp at 6750rpm. Torque is up 27lb ft at its peak to 457lb ft and the curve is fattened up, especially at the bottom, where 376lb ft is available from just 1000rpm. If the deeply integrated electronic systems of other sports cars don’t appeal to you – like those found in the new, tech-laden Porsche 911 GT3 – the V12 Vantage S might just have the right blend of speed, style and character you’re looking for.